This is one of our favorite creative marketing ideas for hotels that are independent, because it leverages your boutique hotel’s unique appeal to create vacations that the larger hotel chains simply cannot match. Travelers love the convenience of making a single reservation for a vacation package that combines accommodations with admittance to interesting activities and attractions. You don’t need to be near a theme park or major attraction in order to create appealing vacation packages. You can pair with local restaurants and chefs for gourmet foodie vacations that include cooking lessons and a trip to an organic nursery for ingredients. Create vacations for nature-lovers that include trips to local nature preserves and outdoor excursions. Figure out whatever sets your boutique hotel apart and build on that quality, combining a stay at your hotel with compatible local activities for a one-of-a-kind experience that travelers will love. With the summer vacation fast approaching, it is the perfect time for boutique hotel owners to start sending out deals for summer vacations. Create a series of email newsletters that include summer savings and special “get-away” deals on vacation packages and other promotions. Create saving deals for each segment of your customer list, delivering family discounts, packages for couples, or other deals specific to each group’s needs. To get the biggest benefit from your email newsletters, connect them with mobile-friendly landing pages where travelers can easily book their reservation using their smartphone or tablet. Mobile PPC campaigns are great boutique hotel marketing strategies because they allow you to target travelers at the exact moment they are looking for accommodations. Mobile devices are used to make the majority of last-minute reservations, accounting for 67 percent of last minute hotel bookings last year. With airport snafus practically guaranteed to occur this summer, you can make sure your boutique hotel gets a share of these last-minute reservations by designing mobile PPC ad campaigns specifically targeting travelers who are seeking accommodations due to airline cancellations and travel delays. You can use these ads on the spur of the moment to attract travelers fill unexpected last-minute vacancies, or design a campaign ahead of time for dates your hotel experiences a yearly lull. 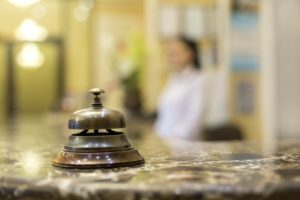 If you would like some help putting these marketing ideas for boutique hotels into effect, Travel Tech Strategies is here to help. We can provide you with everything you need to utilize the full range of hotel marketing strategies, including a mobile-friendly responsive hotel website, PPC and Facebook Ad management, email marketing services, custom landing page designs, and much more. Contact Travel Tech Strategies today at 954-779-2801 for more boutique hotel marketing strategies and expert support services to ensure your hotel’s long-term marketing success!